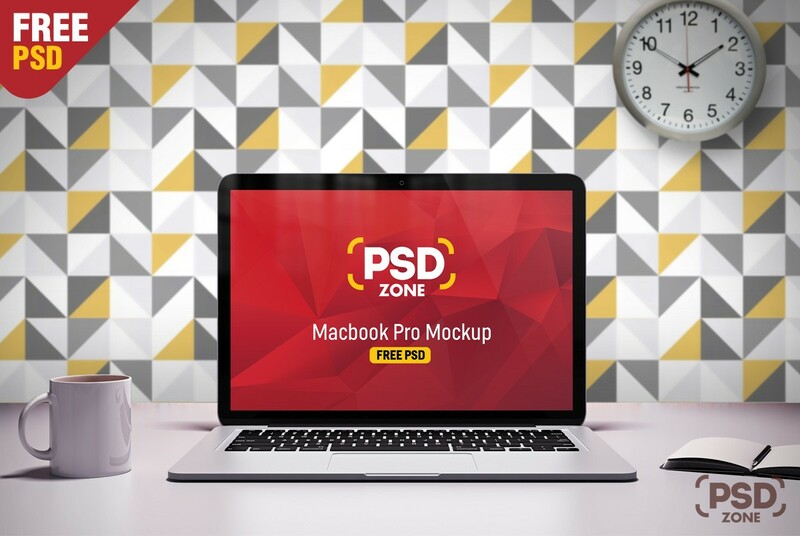 Download Macbook Pro on Desk Mockup PSD. A Macbook Pro Mockup Template which is great if you want to Present your web designs or web application screens to the public or your client in a photo realistic manner. With this Macbook Pro on Desk Mockup you can give your client an idea how the final design will look in a actual environment. This Macbook Pro on Desk Mockup PSD is designed in adobe photoshop and it is based on smart object for easily editing. You just have to place your web designs, save the file and you are done. You can also change the Background color if required. Hope you like it. Enjoy!